I have been thinking about the Christmas season a lot lately. Probably because I am involved with hobbies and activities that are planning events for the holidays now. 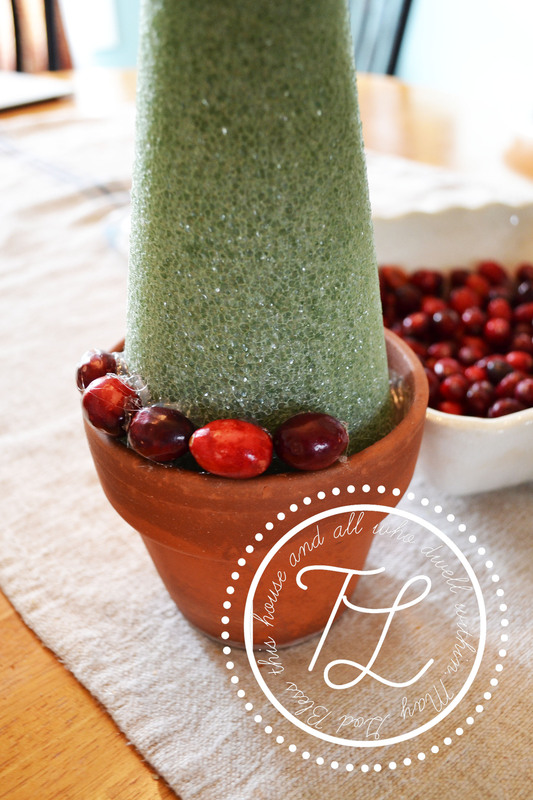 I thought it would be fun to post a tutorial on how to make a cranberry topiary. 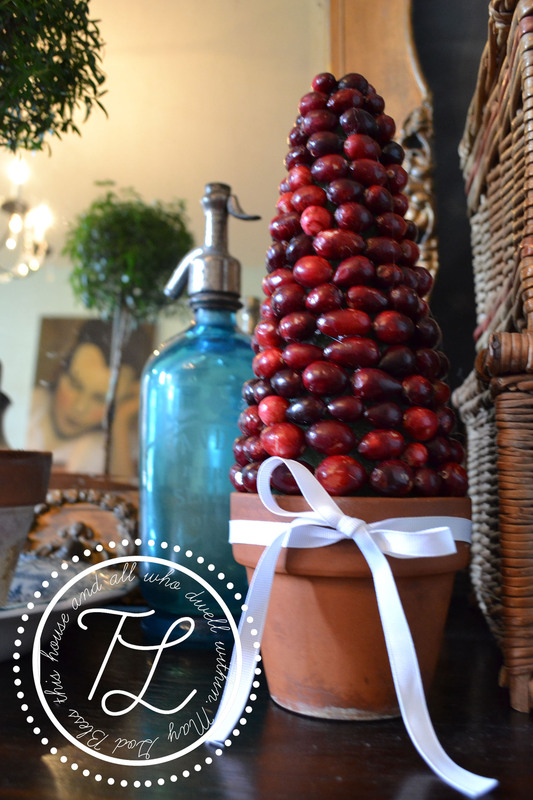 I will be presenting some decorating ideas at a women’s event at my church in a few weeks, and this is one of those ideas! This craft is very easy to make, and took me about 1/2 hour from start to finish. 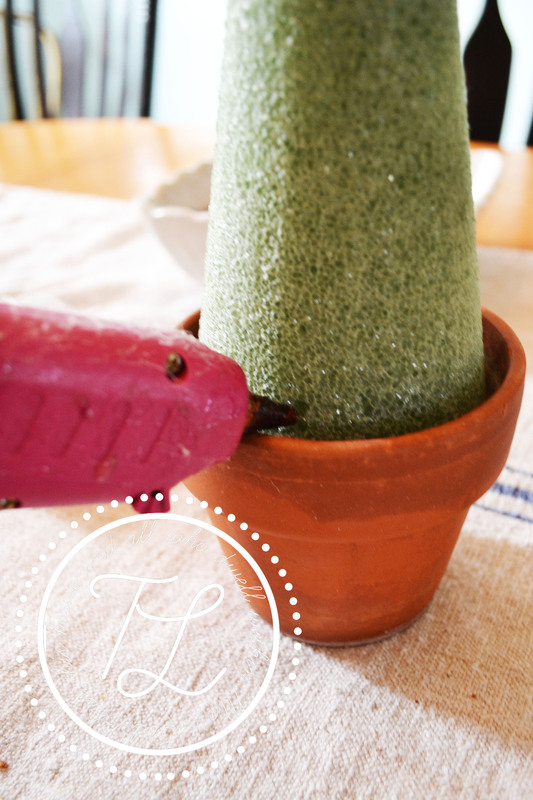 Place a line of hot glue at the base of the styrofoam cone to hold it in place and attach it to the clay pot. 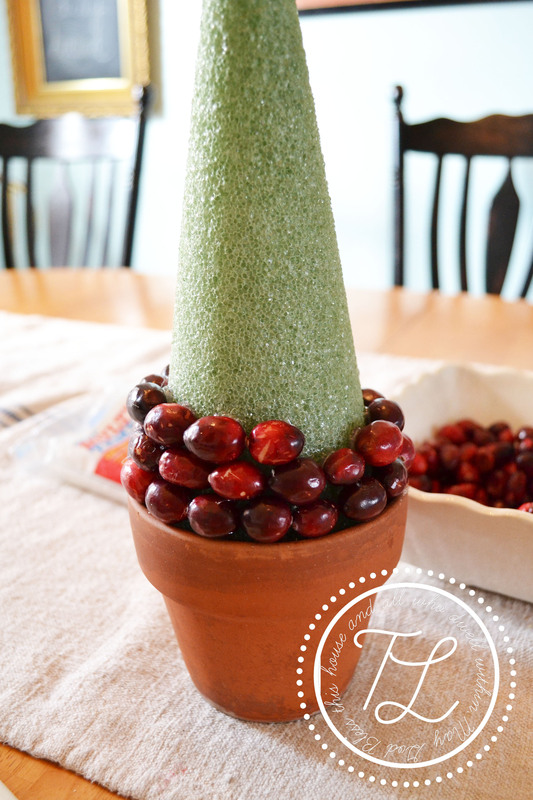 Begin to glue on cranberries, one at a time, starting at the base of the topiary. Keep going around and around…. 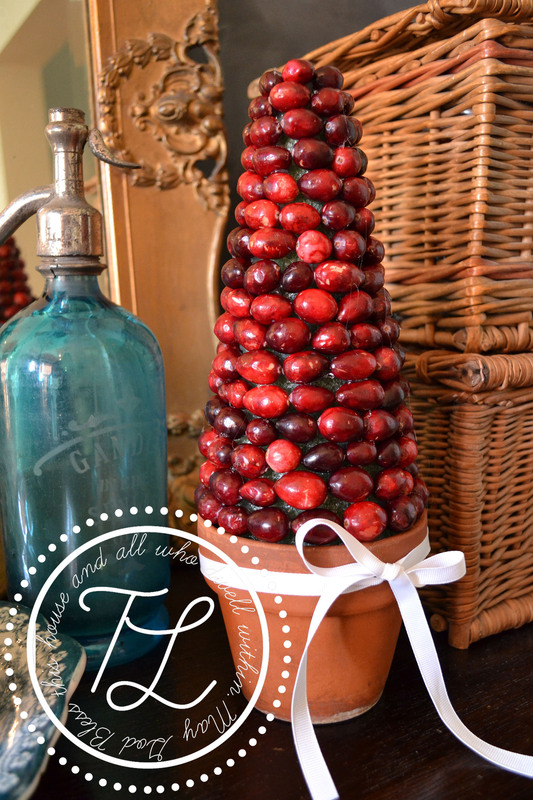 And there you have it, your very own homemade cranberry topiary! Now wasn’t that simple! I hope you enjoy making new Christmas memories this year. I know I will. I can’t wait to bake little gingerbread men and play Christmas music, and everything else that goes along with celebrating the birth of our Savior and King! I know it was just halloween, but I encourage you to take your time this year planning fun activities to rejoice in our Lord and King. Invite friends over to help make a craft or for coffee with those gingerbread man. Have a gingerbread house making party with the kids in your neighborhood. What ever you do reach out and encourage those around you. Many blessings to year in these last few months of 2013. Very cute project Traer! I know that the church ladies will love it. so cute!!! love it! you are so crafty, my friend! 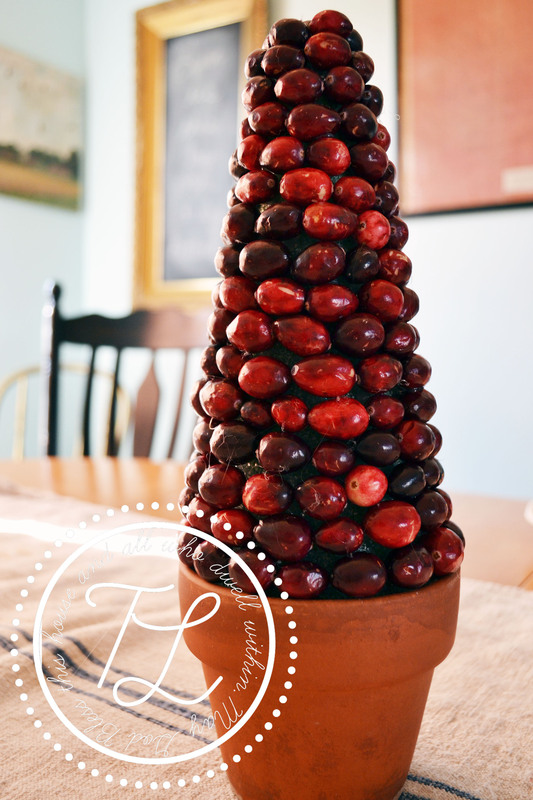 how long does this last using fresh cranberries? Hey there! I am still “testing” this out, but I have had mine sitting out for a week and it still looks good! 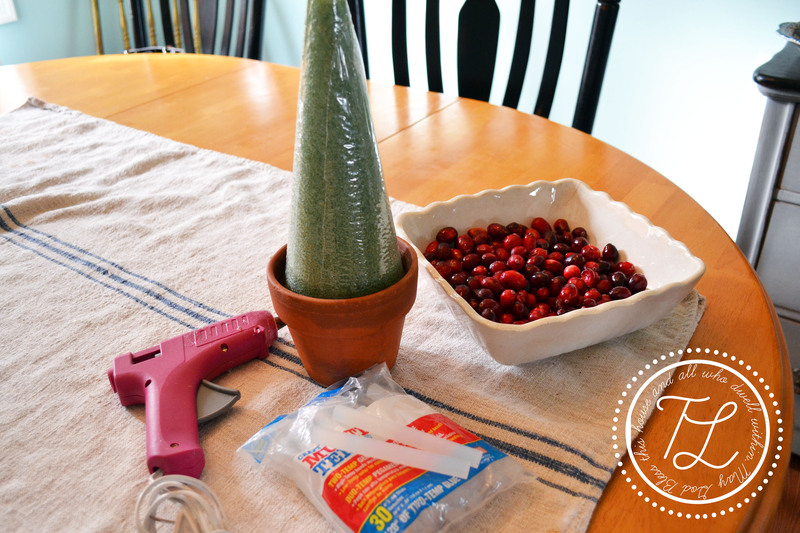 And the cranberries I used were not the freshest. 🙂 So I am thinking quite a while!